I'm graduating in a couple of months time, and don't you think most fresh graduates are clueless of what to do next? Whether to continue pursuing a Masters Degree or enter the working life, I totally have no idea. 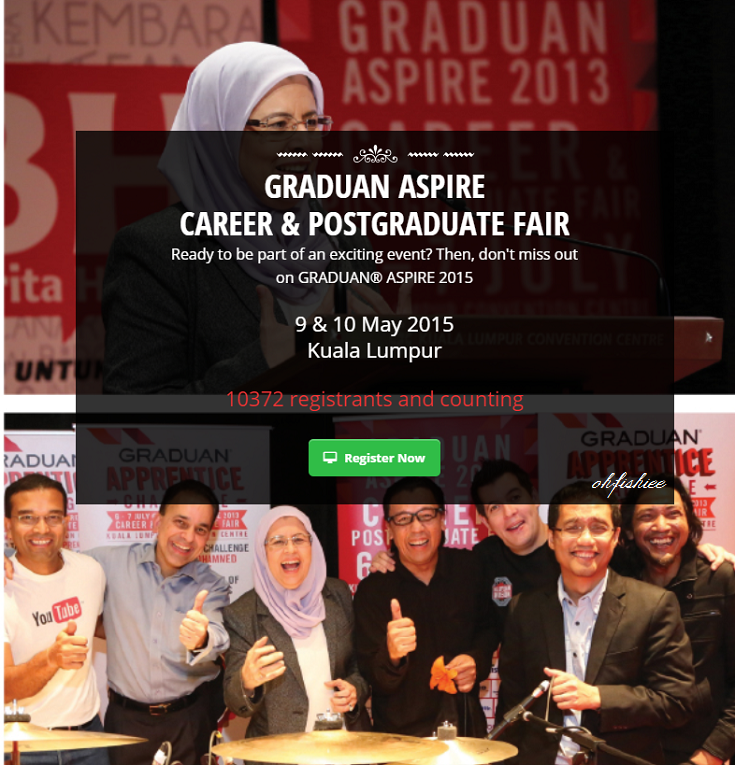 But luckily the Graduan Aspire Career & Postgraduate Fair 2015 comes just at the nick of time! 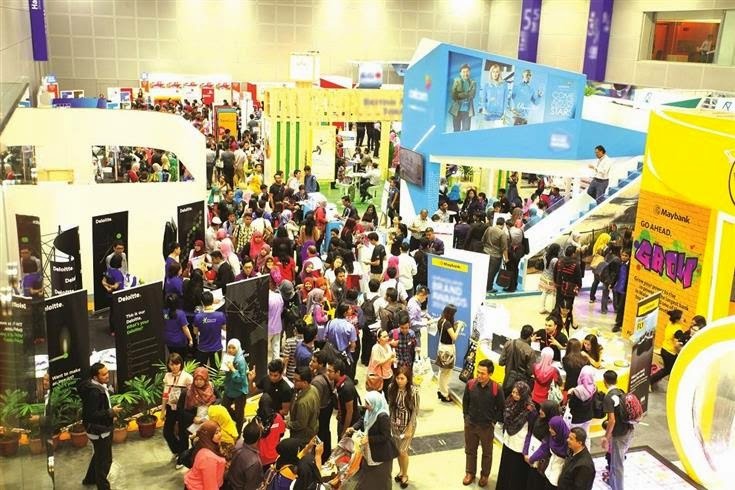 More than 100 top organisations in Malaysia will be joining this fair including the prestigious DRB-Hicom, Maybank, Axiata, UEM, IOI Group, Nestle and the list goes on. As for me, I'd be aiming for PWC, EY, and banking related companies who will also be there to share their experience and knowledge. 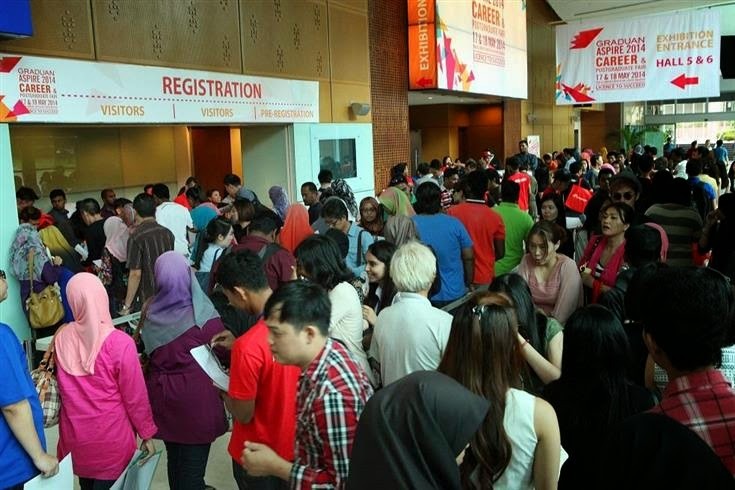 If you plan to further your studies, plenty of local and international universities will be attending the fair too, including Westminster, Curtin, Taylor's University, UKM, IMU and more. 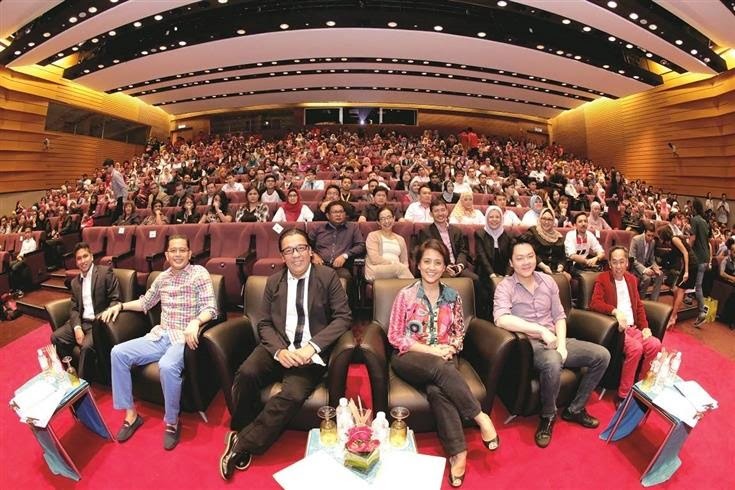 The best part is not just about the fair, but the Graduan Aspire 500 Conference by guest CEOs from big names such as Tesco, ASTRO Radio and KPMG. 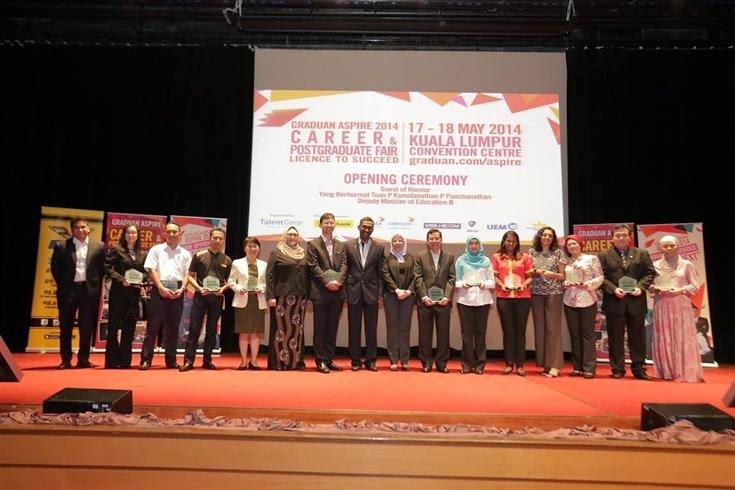 It is open to Malaysia’s top-performing talents from both local and overseas universities, as well as experienced hire. 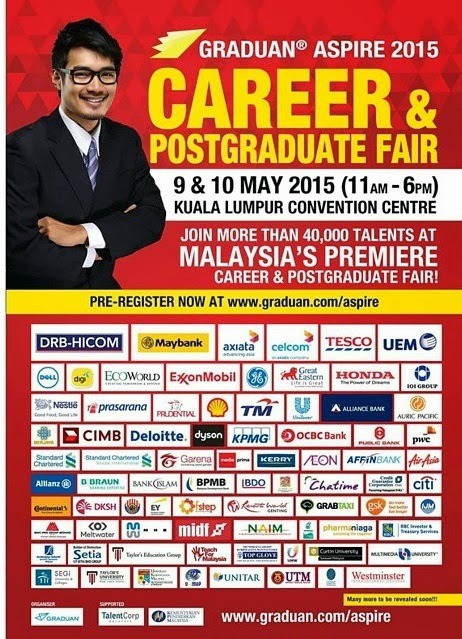 This year's Graduan Aspire will be held at Hall 4 and 5 of KLCC, hence bigger space and more exhibitors. So far, over 10,000 people have registered, how bout you? 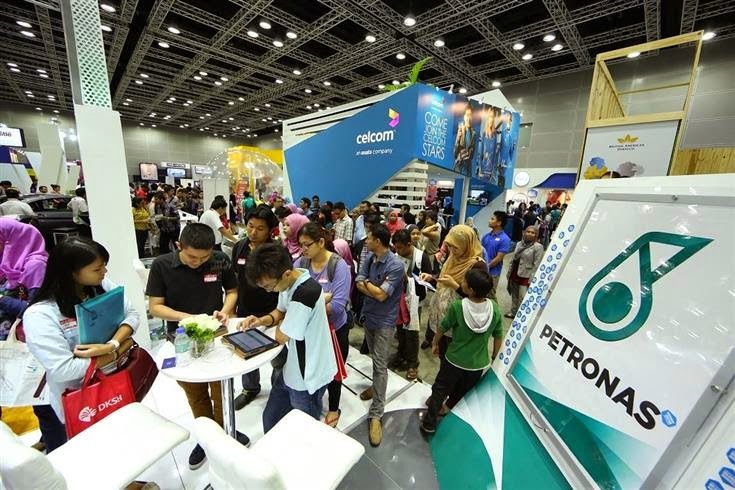 See you on the 9th and 10th at Hall 4 and 5 of KLCC! or Facebook page: www.facebook.com/GraduanOfficial for more information! I like play games Yoob 1000 games than play Juegos Friv 2 and play game on Friv 3 online! Have fun! hi – It’s satisfactory to understand such exciting content material. To make certain with an awful lot of what's launched here and i’ll be returning. thanks once more for publishing such incredible analyzing cloth!! To get extra suitable statistics examine out right here .